Do Women & Children Keep Borrowing Your Pen Knife? Here’s A Solution. 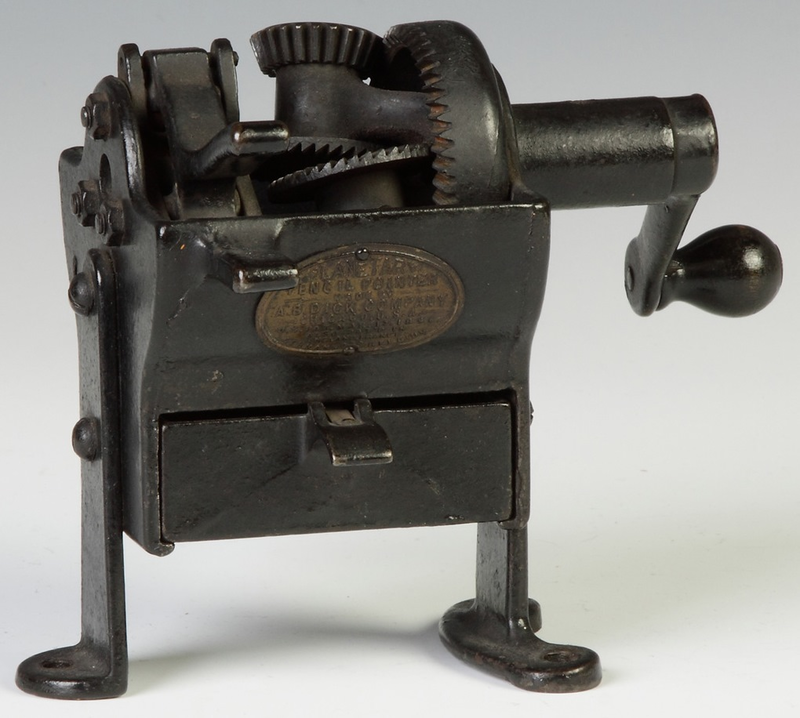 With a cast iron frame designed to be screwed down to the desktop, this machine eliminated the need for whittling and sanding pencils, and saved businesses countless hours in lost productivity. 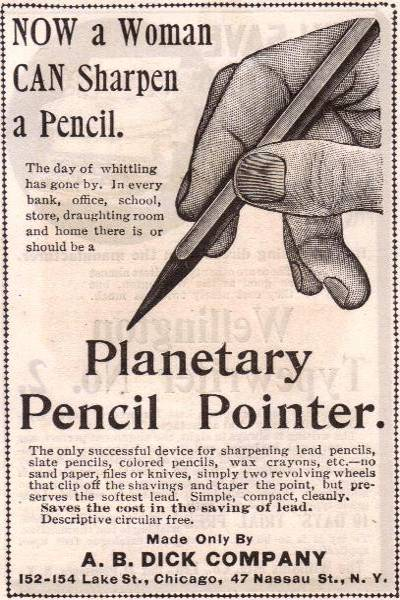 It’s called a “Planetary Pencil Sharpener” because it relies on planetary gears revolving around a sun gear, and all are held in place with a ring gear. Spirograph worked on the same basic principal, but it sure as hell couldn’t sharpen a pencil. This entry was posted on Monday, 5 October 2015 at 12:05 AM and is filed under Contributions to the World, Cool, Gift Ideas, History, Money Saving Hints, Odd, True Stories. You can follow any responses to this entry through the RSS 2.0 feed. You can leave a response, or trackback from your own site. Tony McG – What a blast from the past. Nice to see you here. I thought everyone had woodgrained thumbnails just like me. Rock on, bro. We’re coming up on Halloween, here.